Peak performance and rehabilitation with advanced movement therapy. FMT Movability introduces the concept of movement therapy and performance enhancement to create simple and effective home care mobility and stability programs. FMT Movability is a new paradigm for enhancing human movement. This course will clarify the ‘ why’ behind using balls, bands, rollers, and tape to improve mobility and stability of the body using a joint-by-joint approach. By using movement assessment to determine planar dysfunction, participants will learn how to determine if the dysfunction is primarily a mobility or stability problem. Tools (balls, bands, rollers and kinesiology tape) will be used to tackle an evidence-informed, joint by joint approach to movement and functional rehabilitation. Movement assessments will be used to identify dysfunctional movement patterns. The primary goals of this course is to help healthcare and fitness professionals teach at home therapy for their athletes and patients. The cost of this course includes your own foam roller and tape. You will be able to take these supplies home with you at the end of the course. This course is intended for healthcare professionals, therapists, trainers and coaches. All supplies needed for the course are provided. CEUs may be offered for DC, ATC, PT, LMTs and personal trainers – depending on location and class type. Certified professionals receive an additional 10% discount on purchases after taking a class. 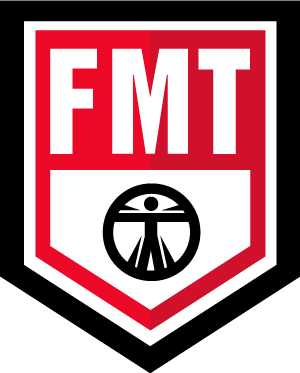 FMT Movability courses are available through Cross Country Education.